A group of survivors from the airship Guy Fawkes find themselves washed ashore on an uncharted island. In their search for survival they uncover one mystery after another. Tales from the Archives are short stories set in the world of the Ministry of Peculiar Occurrences (Phoenix Rising / Das Zeichen des Phönix, and the Janus Affair / Die Janus-Affäre) by Pip Ballantine and Tee Morris. They explore events mentioned in the novels, characters seen and unseen and may include novel teasers of things to come. This is a tough one to review. I'm a Tee Morris fan. And his Rafe Rafton character, who originally appeared in "Morevi" (which is fantasy, not steampunk), is so charming and lovable that I really, really wanted this short story to work for me at the 5-star level. It doesn't. It's true that this piece reads more like a novel's prologue than a story in itself, which is a detriment to someone picking it up as a one-off read. But for me, the biggest problem is that I have the Rafe of "Morevi" firmly in my head, and he doesn't seem to fit the steampunk genre very well. It's too bad, because Rafe is a great character, and I can understand totally the desire to reboot him. My understanding is that Tee's coauthor for Morevi hasn't released him to write more in the world they co-created. Which means that there can't be any more stories told with Rafe unless Tee reboots him into another story world somehow. That's just one of those unfortunate things that happen sometimes in publishing. And if you're familiar with Morevi, you know why this is a really awful situation for Tee and for his fans. 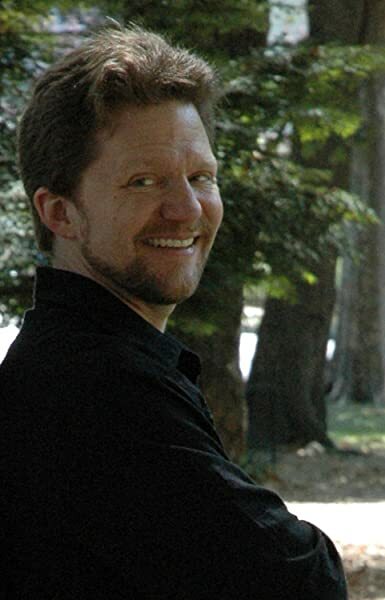 But I think that ultimately, there are only one of two ways for the character of Rafe Rafton to go: either he needs to be completely reimagined/redesigned to fit a steampunk world (which means changing his character traits somewhat), or he needs to be kindly laid to rest and left in the world of Morevi. Trying to simply squeeze him into steampunk just isn't working. That isn't to say that the concept of this story is bad. Actually, I'd like to see more about the ship and its steampunk crew; I just think that it probably shouldn't be with Rafe at the helm. 3.0 out of 5 starsThrilling start to...what? It's a well written first chapter...that leaves you hanging. Basically you purchase what amounts to a beginning chapter of a novel. 34 pages and no warning that you are buying something rather incomplete. Even worse, no hint of where or when we will find the rest of the story. As with any Tee Morris prose, this snippet is something that draws you in quickly. You are thrown right into a survival situation and the story evolves from there. According to the intro this takes place in the summer of 1894. You have a fantastical aircraft, pistols that are powered, wonky electricity, and TNT setting the environment for this blatant steampunk piece. To paraphrase the main character, you won't get lost "in the language of clankerton" if you are new but if you have any steampunk experience you will feel right at home. This supposedly ties in to the Phoenix Rising: A Ministry of Peculiar Occurrences Novel, this being an "archive" piece from the "Ministry". Not sure how it really ties in until I have a chance to read Phoenix Rising. I really enjoyed Mr. Morris' other works (particularly the Billi Baddings series) and this is no exception. I would have assigned this more stars if there had been some type of warning about what was being purchased. And now you have a fan impatiently waiting the rest of the story! 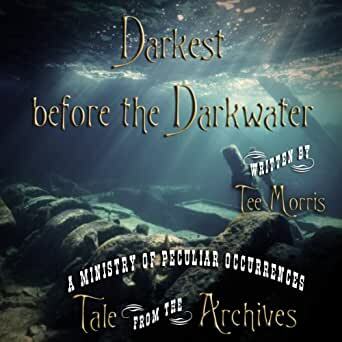 Quoted from Tee's website (teemorris.com): ""Darkest before the Darkwater" along with providing a look into the world of the Ministry is also a preview of my current work in progress. You might recognize the protagonist, and get an idea of what direction I'm intending to take him in this reboot of MOREVI." He goes on to state that this is a "penny dreadful" release of the podcast version. So it looks like more is to come and you may see it as a podcast before we see it in print. I highly recommend checking out Tee's podcasts and website for more info and a great time (he's a master of the podcast genre). 5.0 out of 5 starsPreview of things to come! Tee Morris has this ability to create a rich world and draw you completely in quickly and with few words. In this short story, I already feel connected to the characters and their world and I'm craving more! Which is good, since this story is an introduction to things to come. I could understand the frustration of those that feel like it's not a complete story into itself, but the description says "Tales from the Archives are short stories set in the world of the Ministry of Peculiar Occurrences. They explore events mentioned in the novels, characters seen and unseen and may include novel teasers of things to come." This is one of the latter. It sets the stage for more. And there will be more! I can't wait! 5.0 out of 5 starsa blast from the past...but with a new spin on it. I really enjoyed this short story by Tee Morris. I was happily surprised to see this story in the Ministry of peculiar events podcast, and I look forward to seeing how it is connected to the Ministry story. Rafe Rafton is one of my all time favorite characters, so I was extremely excited to see him again. The new steampunk spin and new time period was well done and added more suspense and interest to the story. I also liked the cliffhanger at the end... I cannot wait to read Tee's new book whenever it comes out! Thank you for an exciting tale and for raising Rafe back from a previous work. If you don't mind paying for a piece of a story, go ahead. However, I felt screwed and returned it. Unlike the other short stories, this set a stage and then ends. It's not worth even the 99 cent it costs. Nothing in the Amazon entry above warns you that it's not even a short story. Pretty dishonest actually. Probably the last one of these shorts by the authors I ever buy. Tee Morris and Philippa Ballantine's creation of the Ministry of Peculiar Occurrences has opened many doors. In this 99 Penny Dreadful, we see the start of a Reboot discusses by Morris. Rafe Rafton makes his first appearance in this new work. Don't let the cliffhanger fool you, there will be more.